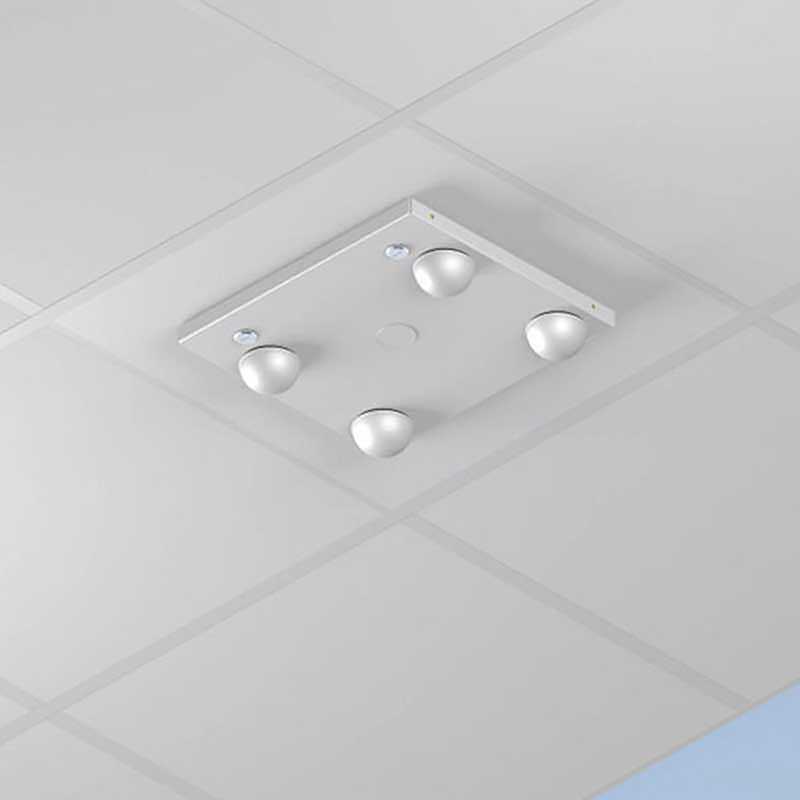 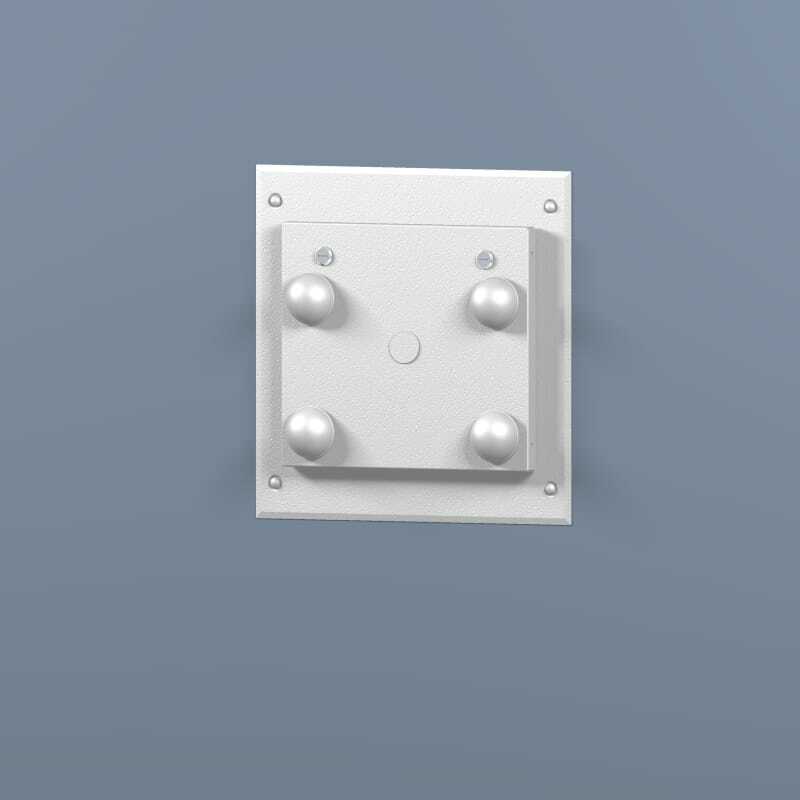 Hard lid ceiling Wi-Tile™ enclosure protects critical APs, DAS remote units, and public safety equipment with detachable antennas. 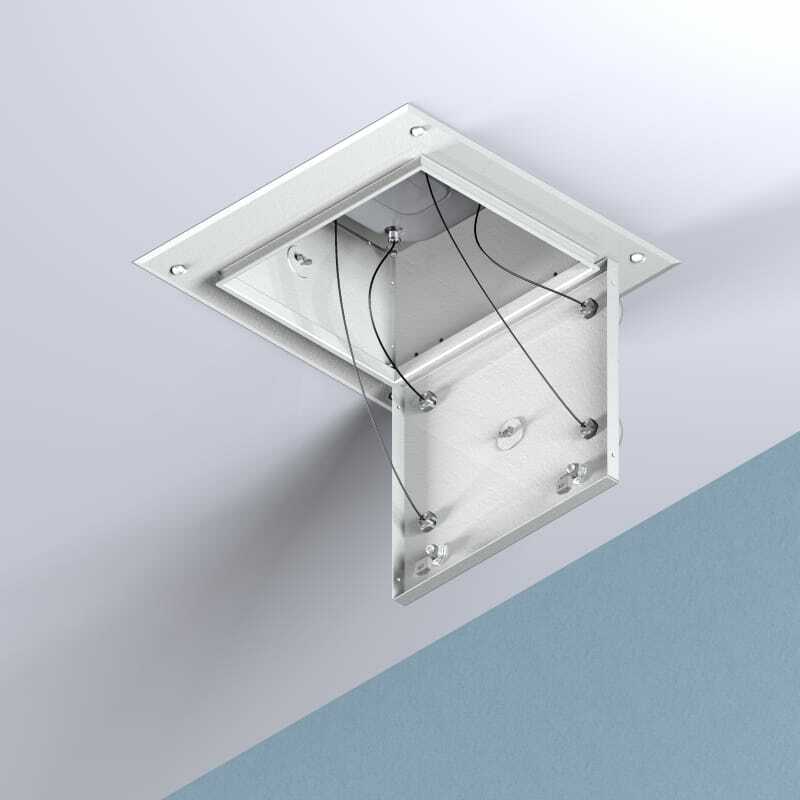 This water- and dust-proof aluminum enclosure has knockouts in the hinged door for ceiling-mounted antennas or water-resistant bulkhead connectors for antennas. 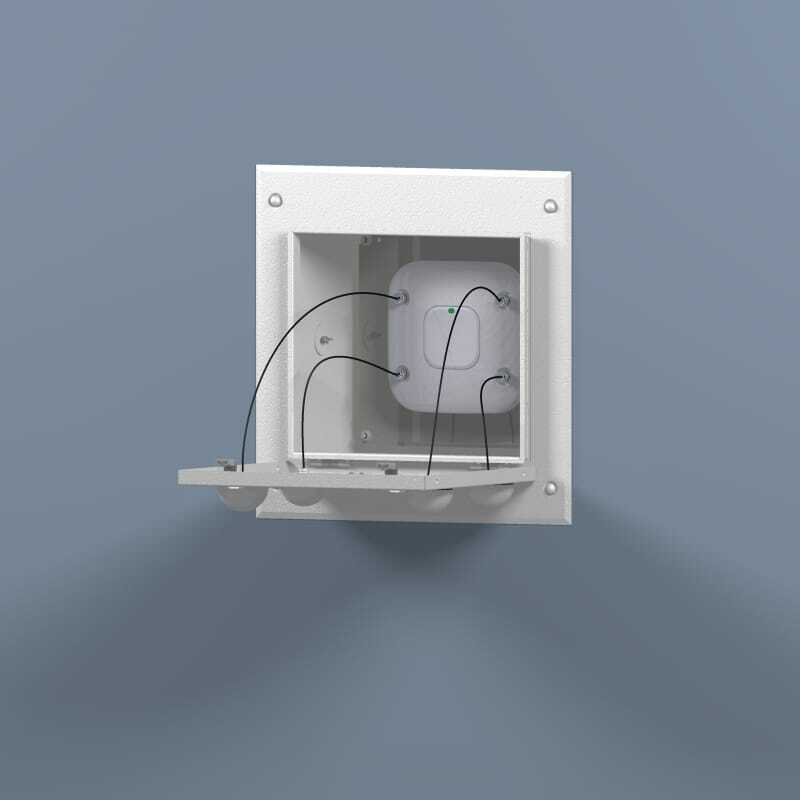 Deep enough for the Cisco 3600 series and other large APs and DAS remote access units with external connectors and up to five antennas. 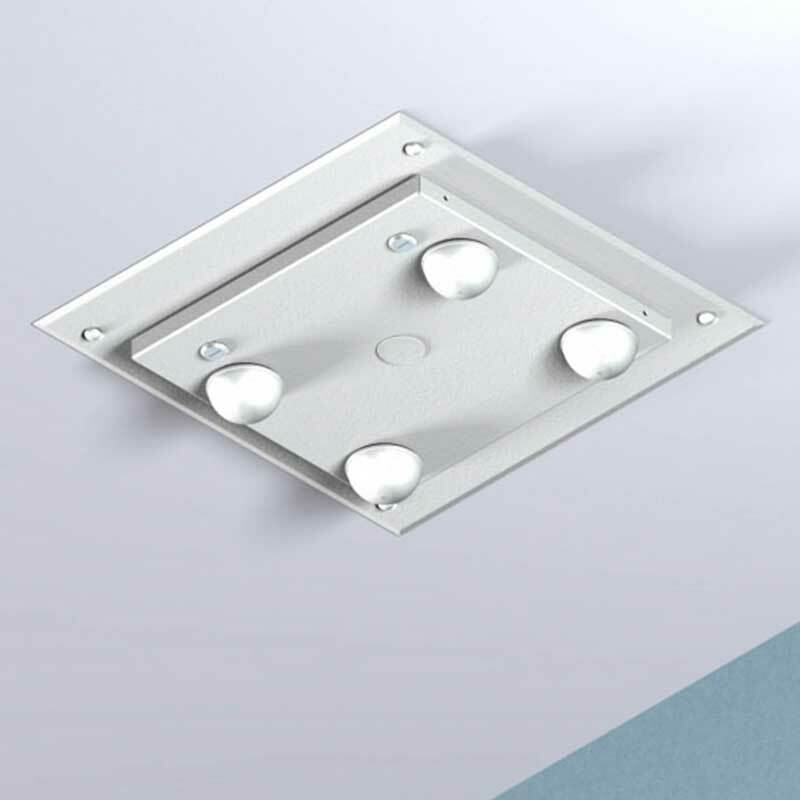 Plenum-rated; provides NEMA 4 dust and water protection.